Holy bags under my eyes! Keeping it real this week with no makeup… some days I’m doing good just to shower ;). Belly button in or out: Starting to protrude. Best moment this week: Finally picking a paint color for the nursery! The paint is going up this week, and I can’t wait for everything to finally start coming together in there. We are going with a mint green paint for the walls… hoping it comes out exactly as planned! Miss anything: Mainly just energy, but it’s not too terrible. I really start heading downhill in the afternoons… very similar to how I felt in the first trimester. I also miss being able to stand for 10 minutes without my back just killing me. Movement: Still all over the place! Looking forward to: Dinner tomorrow with some good girlfriends, the nursery getting painted, and my dad visiting for a night next weekend! In very exciting news, baby girl finally has a name! I hadn’t shared on the blog yet because the news was still slowly traveling to family and friends, but I believe the cat is officially out of the bag. The official name is Molly June Mulligan! Molly was on a list of contenders from the beginning, but when at the beach with a couple of friends over Memorial Day weekend that somehow became her official nickname. The four of us referred to her as “Molly” all weekend, and then Mike and I continued to call her that joking around at home. We debated dozens of other names, but nothing else felt right. We finally decided that Molly already felt like her name – especially since we had been calling her that for over a month! So, it was decided. As far the middle name, I always knew that I wanted June to be the middle name if I had a girl. That was my Grandma’s name – my dad’s mom – and my sister was named after her as well (Kathryn June). My Grandma June was one of a kind. She spoiled me and my sister rotten, and we absolutely adored her. I have the best memories of time spent with her when I was young – sleepovers at her house when we would stay up late watching tv in her bed, eating her homemade fried chicken, countless trips to the mall and excursions to Toys R Us, watching Grease (and other movies I wasn’t allowed to watch at home) with her in the living room floor. I miss her all the time, but I’m glad that her name will live on in our daughter. This was the most amazing week I can remember in a long time. Friday I drove over to Mike’s office where his coworkers threw a surprise shower for us – well, a surprise for Mike! He was so shocked, and the look on his face when he walked into the conference room for a “meeting” was priceless. His coworkers were all so sweet, and I was so touched by everything they did for us! 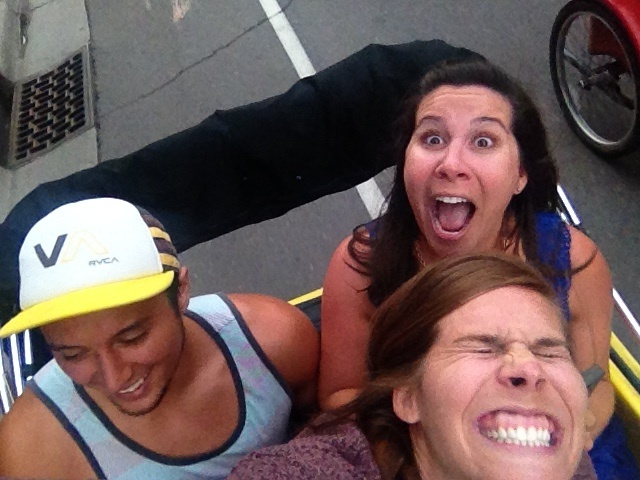 It was a perfect party, and I can’t believe everyone pulled off the surprise – including me! Saturday some of my best friends threw the most beautiful and perfect shower for me and Baby Molly. There was so much thought and detail put into every little thing, and I adored it all. I have the best friends ever, and they went above and beyond to make this day perfect. I couldn’t be more thankful for them and for our families – some of whom traveled across the country to be here for the occasion! It was such a special weekend, and I am still in awe at the outpouring of love our friends and families have shown for us and for Molly! We could not feel more loved! 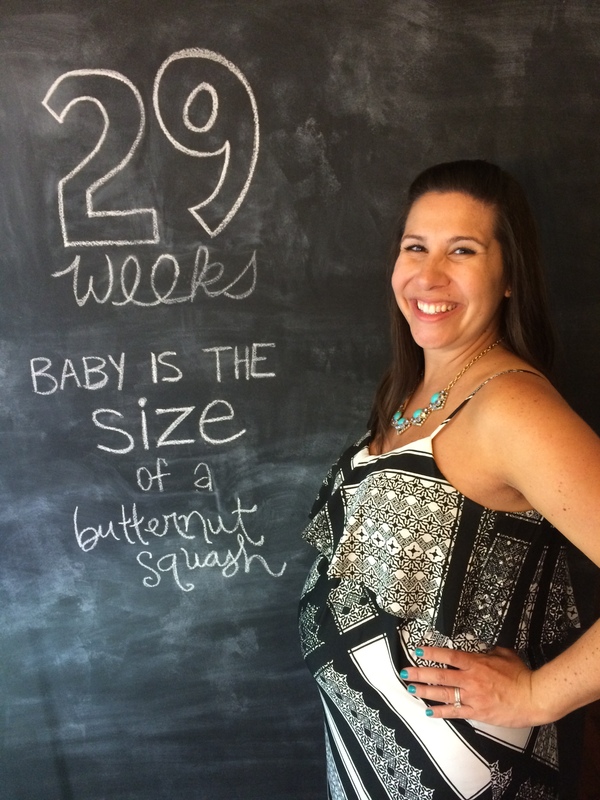 How far along: 29 weeks and the size of a butternut squash – about 16 inches long and 2.5 pounds. Belly button in or out: Still questionable, but it should be popping out any day now. Sleep: Not so great. I was blessed with one amazing night’s rest Friday night, though. I slept through the night and didn’t wake up until 9 am! I can’t remember the last time I slept that late or that long without waking up. It was amazing and much needed. Best moment this week: So many I don’t even know where to begin! It would definitely have to be a tossup between Mike’s surprise work shower that his sweet coworkers through us on Friday, the shower that my wonderful friends through me on Saturday, and spending time with our families who were here for the weekend and we rarely see. It was such a perfect weekend filled with so much love and happiness celebrating Molly! Movement: I’m a little afraid about how feisty and wild this little girl might be judging by how active she already is. Even the doctor commented on it at my appointment this week – granted, I had just chugged that nasty sugary beverage for my glucose test, but still! She was trying to listen to the heartbeat, and Molly kicked so hard that the doctor’s hand jumped up from my belly. We both laughed, and I confirmed that that was pretty much par for the course. Last night was no exception. I was SO exhausted after our long amazing weekend, and she decided to keep me up for another good hour with her intense kicks. I kept reminding her it was bedtime, but she wasn’t having it. Hope I don’t have a night owl on my hands! Cravings: Ice cream, chocolate and fruit. My friend Katie made some oreo truffles for my shower, and they were to die for! Luckily, I was able to bring some home – no comment on how many I’ve already had. Looking forward to: Touring the hospital soon and signing up for a couple of classes that will hopefully make us feel a little more prepared for what’s ahead! 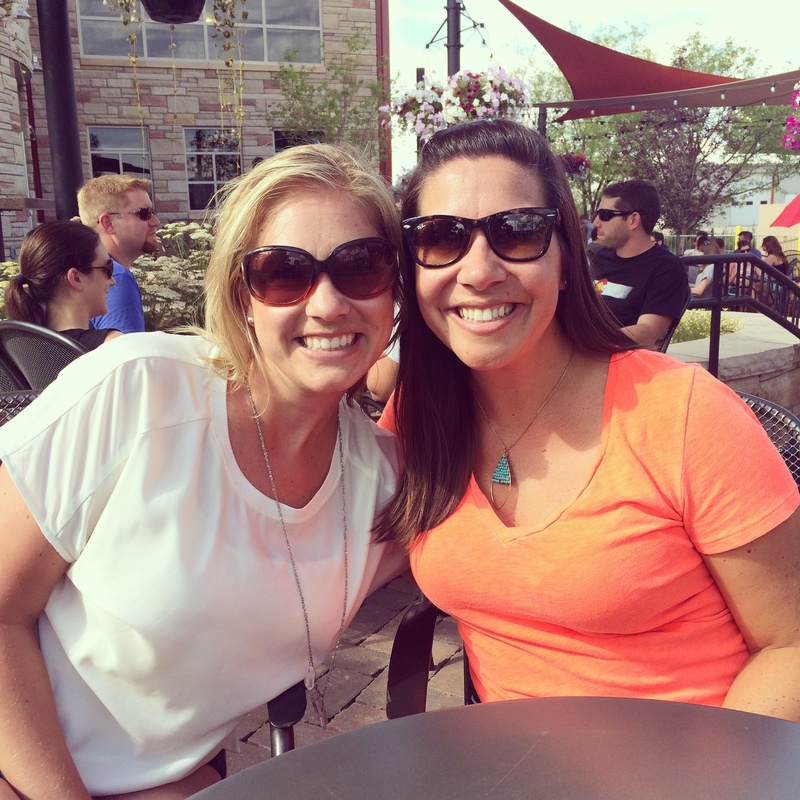 It was so nice to have my sister here this weekend to celebrate her niece! She is just a little bit excited about becoming a first-time aunt.. haha! 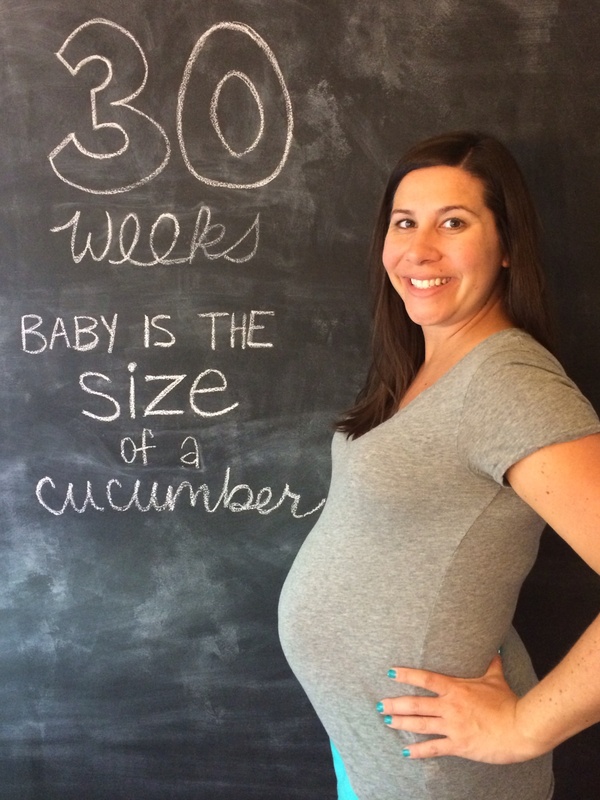 It’s official – we are entering the third trimester! How did that happen?! While my body is definitely starting to feel the effects, it’s still hard to believe that this much time has passed and we are entering the final stretch. This week has been a turning point in a lot of ways. All of a sudden I feel much more uncomfortable, much more tired, and and much more overwhelmed. I feel a little bit annoyed that I’m already this uncomfortable because I was really hoping that I had another good month or two in me, but I keep reminding myself that things could be a lot worse and I’m very thankful that I’ve had a pretty easy pregnancy thus far. Here’s to the last third of this crazy journey… I can’t believe we’ll be holding a precious baby girl in our arms in three short months! 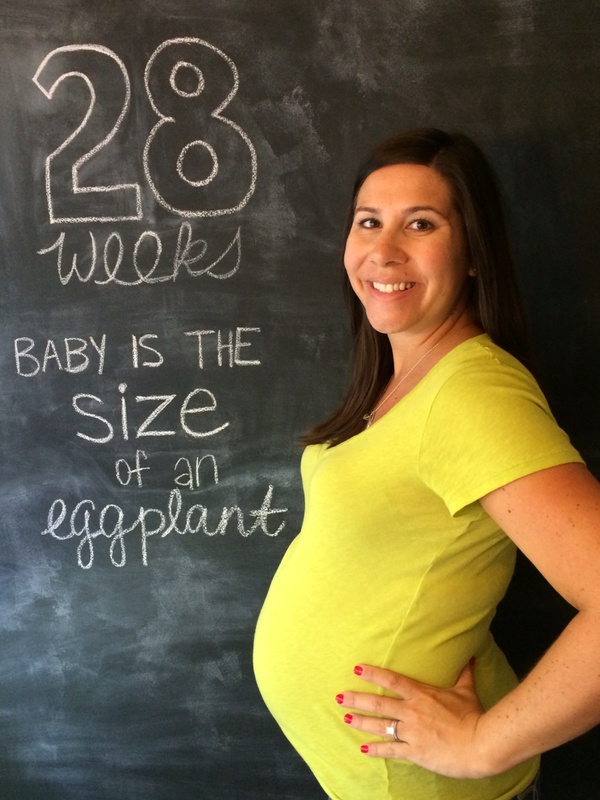 How far along: 28 weeks and the size of a large eggplant (yikes!) – about 16 inches long and 2.5 pounds. Maternity clothes: Mike and I hit the outlets yesterday, and I added a couple more dresses and tops to the wardrobe. Besides a couple of tops and maxi dresses, I’ve pretty much said goodbye to my pre-maternity clothes. It was nice while it lasted. Belly button in or out: Flat to slightly protruding. It’s questionable. Sleep: Not so comfortable anymore which is probably adding to my lack of energy. I have officially surrounded myself with a fortress of pillows while sleeping. I still have to have my Snoogle, but I add more pillows around me now, too… there can never be enough. As my belly expands, it’s just not comfortable in any position. Still sleeping on my side, but I toss and turn a lot and wake up at least a couple of times per night. Not to mention, I can no longer sleep in even on weekends. Womp womp. I guess this is nature’s way of preparing me for many sleepless nights in the future! Miss anything: Sleeping comfortably and just generally moving around more easily. I feel like getting up from the couch is becoming a chore – I can’t imagine how much worse that’s about to get. So thankful to have a sweet husband who does everything he can to help me out! Movement: Constantly! Kicking, punching, rolls, jabs, you name it! The weirdest thing I’ve noticed this week is that she is now big enough that I can feel her jabbing at both sides of my stomach at the same time. It’s like she is all over the place. Sometimes it’s pretty painful, but for the most part it’s still awesome. I often find myself mesmerized watching my belly change shapes right before my eyes. It’s so crazy. Looking forward to: Seeing so many wonderful family members and friends next week at my shower some sweet friends are throwing for me! I can’t wait to see everyone! It’s going to be such a fun-filled weekend with the ones I love. 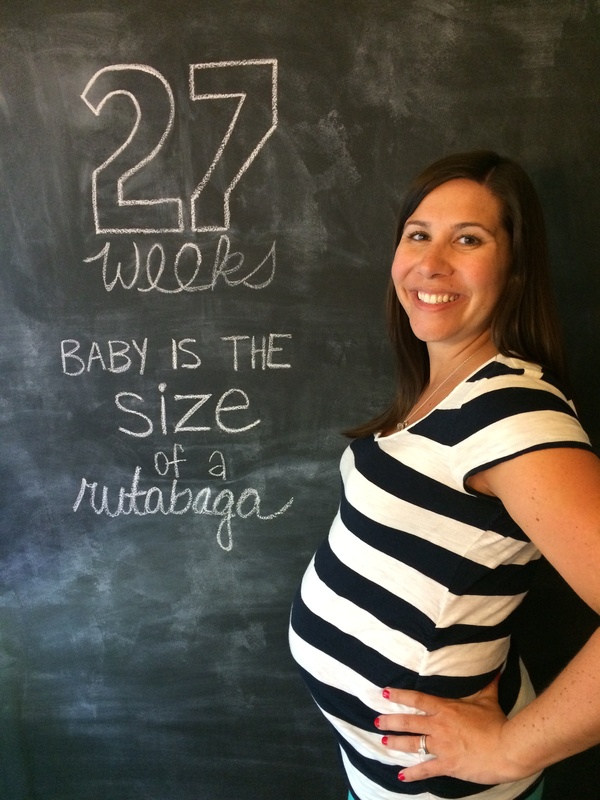 How far along: 27 weeks and the size of a rutabaga – about 14.5 inches long almost 2 pounds. 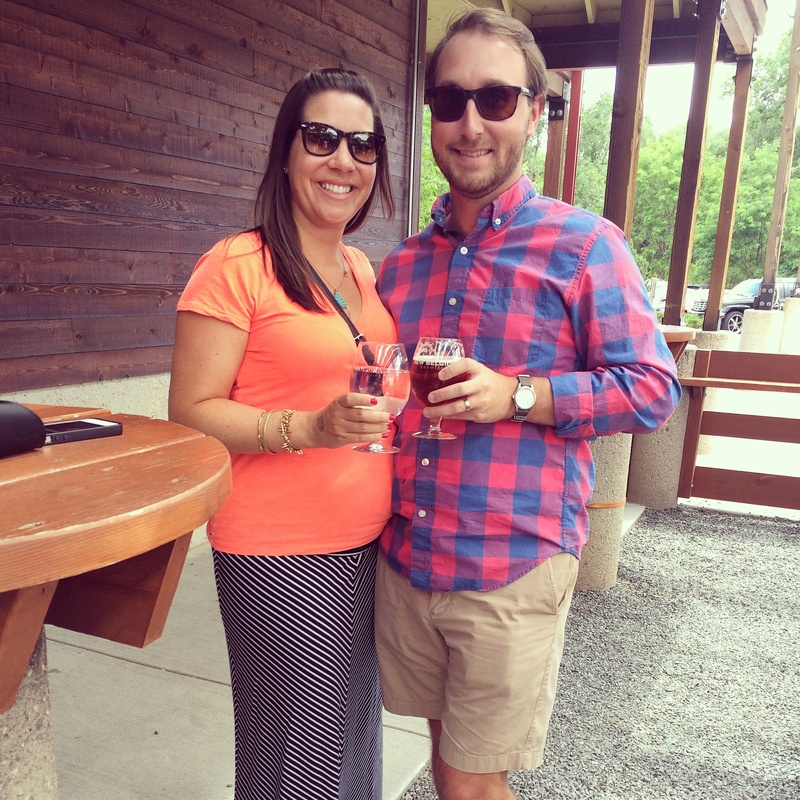 Maternity clothes: Yep… my options are getting slimmer by the day as my belly keeps growing. I think it’s time to go shopping! Belly button in or out: Flat as a pancake. Sleep: Definitely getting more uncomfortable and waking up a couple times a night is becoming the norm. Best moment this week: Seeing my sister! 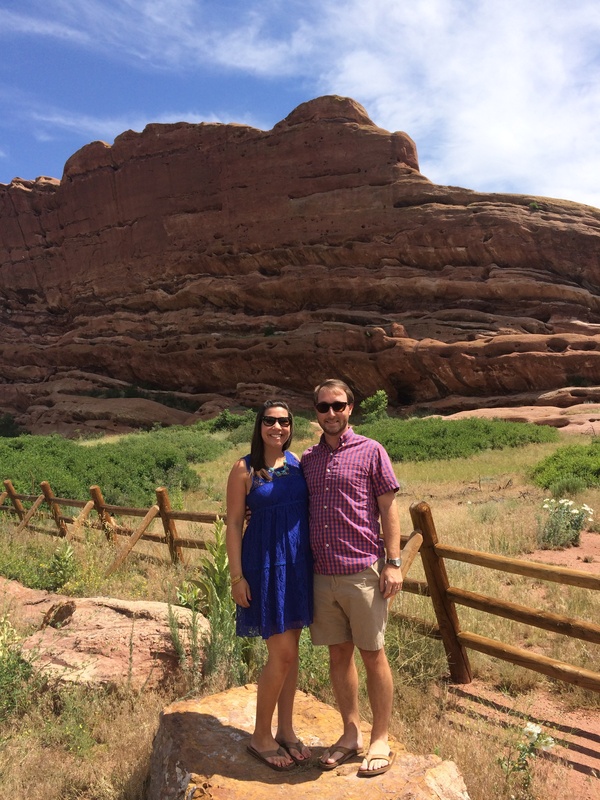 We flew to Denver to visit Kat and her sweet hubby Chris over 4th of July weekend, and we had a great time. As always, the weekend went by way too fast, but I’m so excited to see her again in a couple of weeks at my shower! 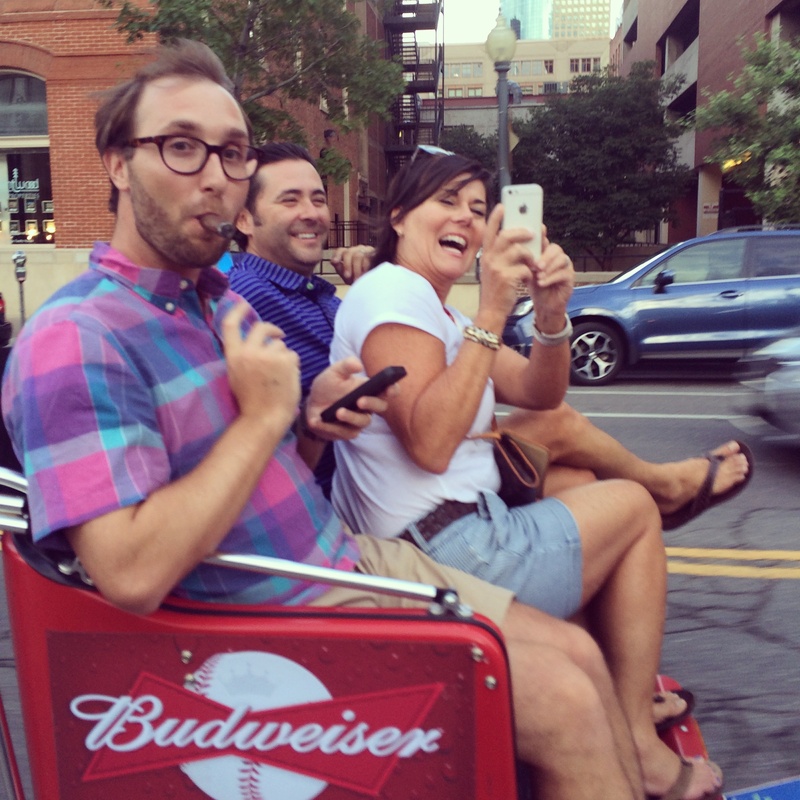 Miss anything: I think I was a pretty good sport in Denver chugging water at breweries while my family enjoyed tasting all the yummy beers, but I was definitely missing having a cold one! Movement: My little mover and shaker has been kicking up a storm all week. 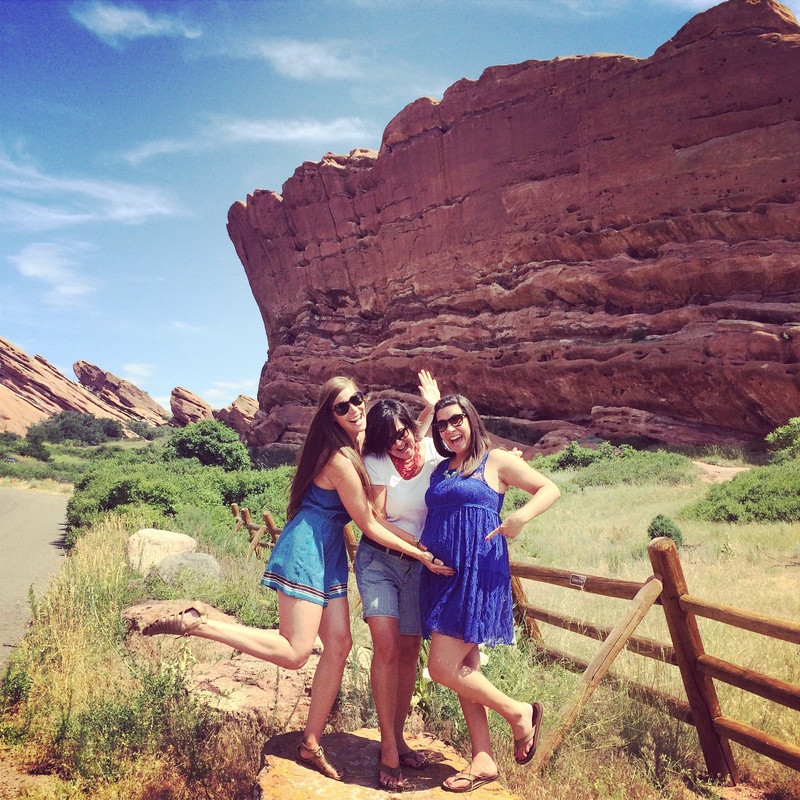 My mom and sister got to feel her kick in Denver which was so much fun. I drank a little apple juice hoping the sugar would get her moving, and it worked like a charm! Cravings: Still sweets… we had some delicious desserts in Denver that hit the spot, and my brother-in-law whipped me up a delicious oreo milkshake that was to die for! Looking forward to: A low-key week… finally! 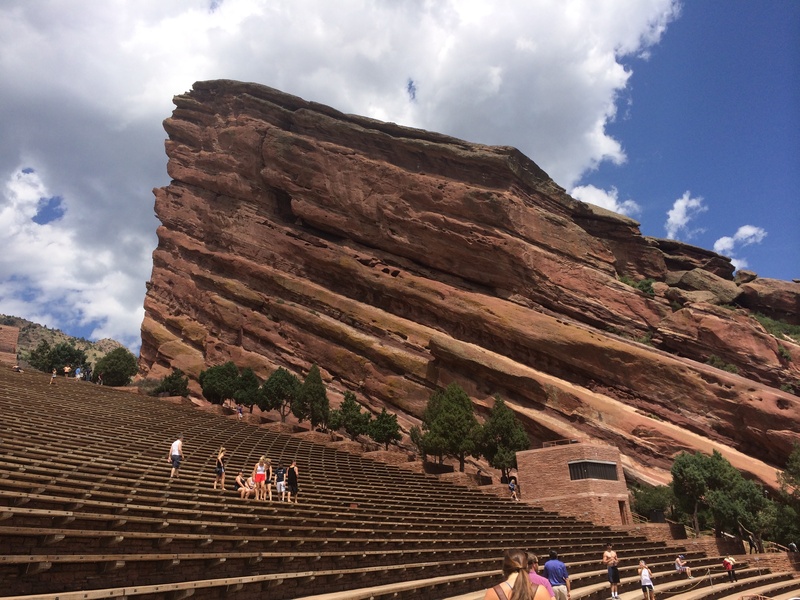 I will leave you with some pics from our fun trip to Denver – Red Rocks, rickshaw races, and Fort Collins breweries! 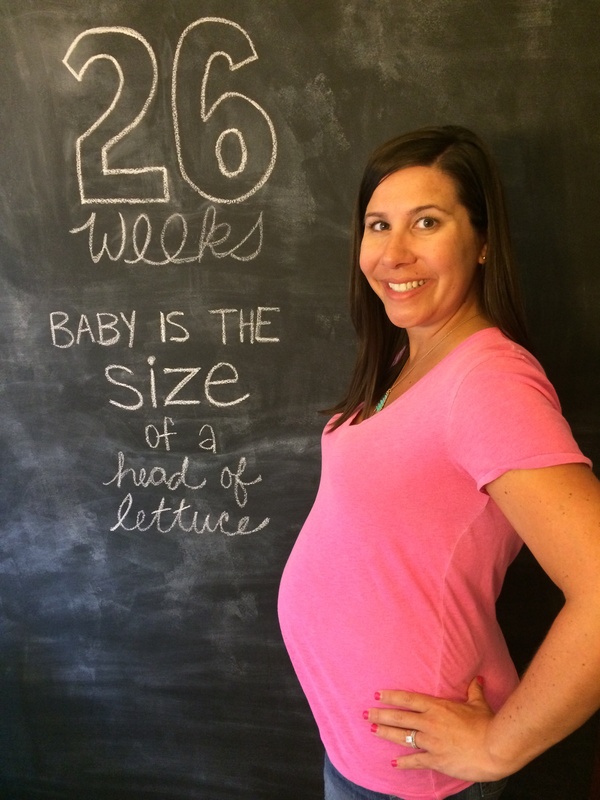 How far along: 26 weeks and the size of a head of lettuce – about 14 inches long and about 1 2/3 pounds. Sleep: Sleep is definitely becoming more uncomfortable. It takes me a little longer to fall asleep because of that, but once I do I’ve still been sleeping pretty hard. Best moment this week: Hearing that perfect heartbeat always tops the list! I had my 24 week appointment (one week late due to vacation) this week, and I’ve started rotating to meet all of the doctors since any of the doctors in my practice could deliver Baby Mully depending on who is on call. 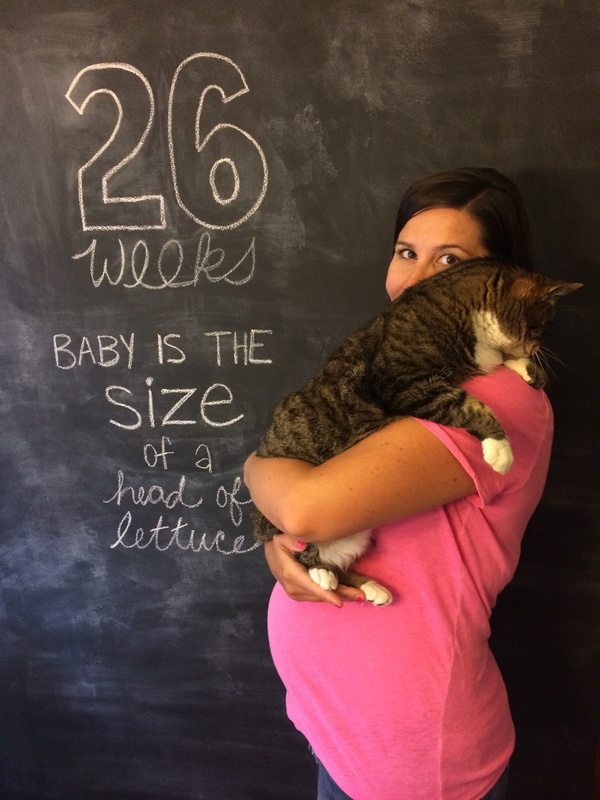 This week’s appointment was short and sweet, and everything is measuring right on track! Miss anything: Not this week! Cravings: Nothing seems to be changing here… sweet, sweet, sweet. Baby Purchases/Gifts: The most exciting purchase this week was the crib and glider for the nursery that we found yesterday! I am so relieved to have those checked off the list and see everything start coming together. I also couldn’t resist a huge J.Crew sale that was going on, so I stocked up on some adorable baby girl clothes as well! Oops! 🙂 We’ve started receiving some gifts from our registry from friends and family this week which is so exciting. We just couldn’t be more thankful for all of the wonderful people in our lives who will now be a part of Baby Mully’s. This girl is already so loved! Looking forward to: This weekend!! We are going to visit my sister and her hubby in Denver over the long holiday weekend, and I can’t wait! It’s been WAY too long since we’ve seen each other, so I am counting down the days! 3 to go….